Rondeberg Resort is the ideal choice to get away from the hustle and bustle of city life and to recharge your batteries. Rondeberg is your holiday destination, stop-over when travelling on the Cape-to-Namibia N7 Route, base for exploring the beautiful surrounds and we are confident that you will enjoy your stay with us. 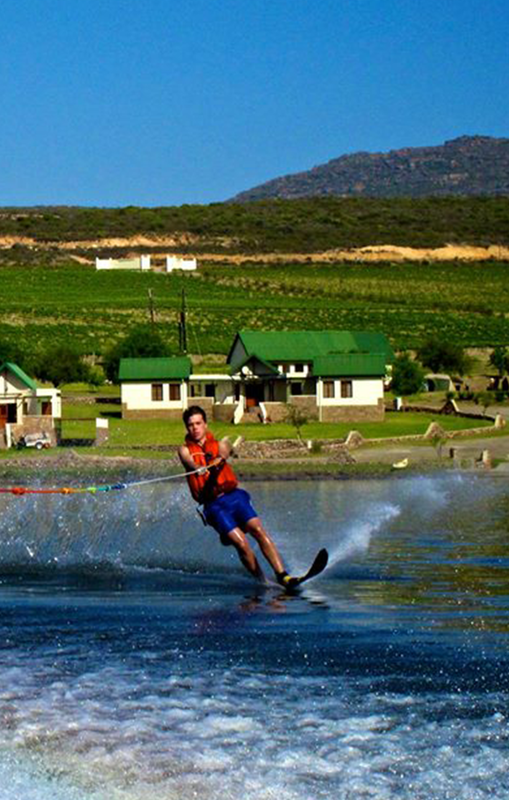 Situated on the banks of the Bulshoek Dam, which offers use of the dam for skiing, boating, canoeing, fishing and much more. Should you be more inclined to be the active type, there are a variety of activities available. Bird watching and hiking trails are also popular here. Rondeberg Resort offers three types of accommodation - namely camping, chalets and stone cottages. The resort also has a coffee shop. There are also laundry facilities, a convenience store, swings and trampoline for the children. The resort is 22 km north of Clanwilliam on the Cape to Namibia N7 Route. We love children. The ideal family holiday destination, but also excellent as a stopover to and from Namibia.